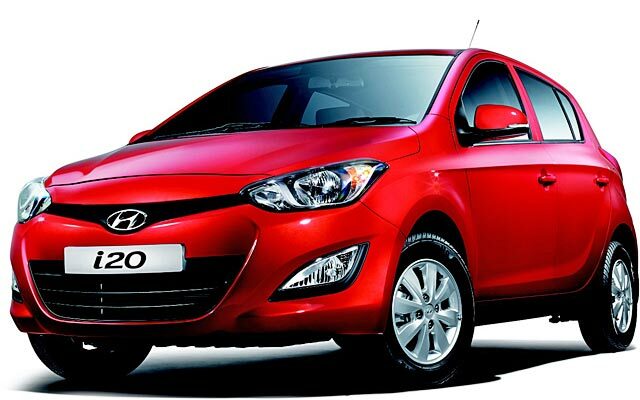 Hyundai recently launched the face-lifted version of its premium hatchback the i20. The i20 is the first successful premium hatch in India and this is the first face-lift for it since its launch in 2009. The USP of the i20 has been its ubercool styling and the ultra posh interiors. Although the old i20 has had its own share of problems like steering rattling issues and a weak air conditioner, it was a definite hit with the public and the sales show it. Let’s see what Hyundai has got to offer with the new i20. 1) The 1.2 litre Kappa Petrol Engine which generates 83 BHP. 2) The 1.4 litre Gamma Automatic Petrol Engine which generates 99 BHP. 3) The 1.4 litre CRDi Diesel Engine which generates 89 BHP. 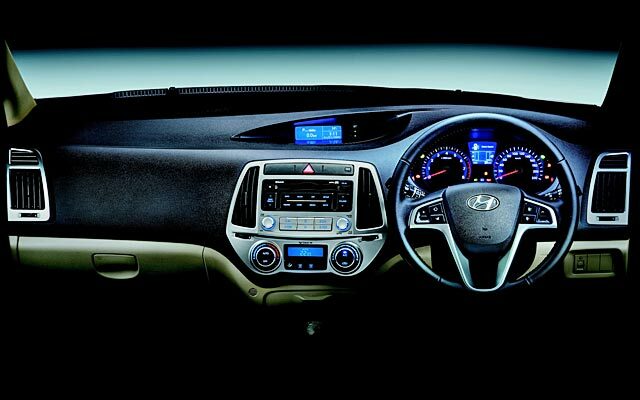 As you can see in the pic above, the interiors look even more better and refreshed than that of the previous gen i20. The new i20 also retains the steering mounted audio controls and all the features of the old i20 apart from getting the push start/stop button, rear view camera & auto head lights. In the exterior, the new i20 gets an all new bumper and grille which resemble the one on the Fluidic Verna. The new i20 retains the same fluidic design from the side view apart from a few cuts and it also gets redesigned tail lamps which integrate well with the overall design. On a whole, I feel that Hyundai has done a good job with the face-lifted version and also I heard that the air conditioner’s performance is a little better now due to the redesigned vents although it is of the same capacity. We will have to wait for some more time to see whether the steering rattling issue has been settled or not.